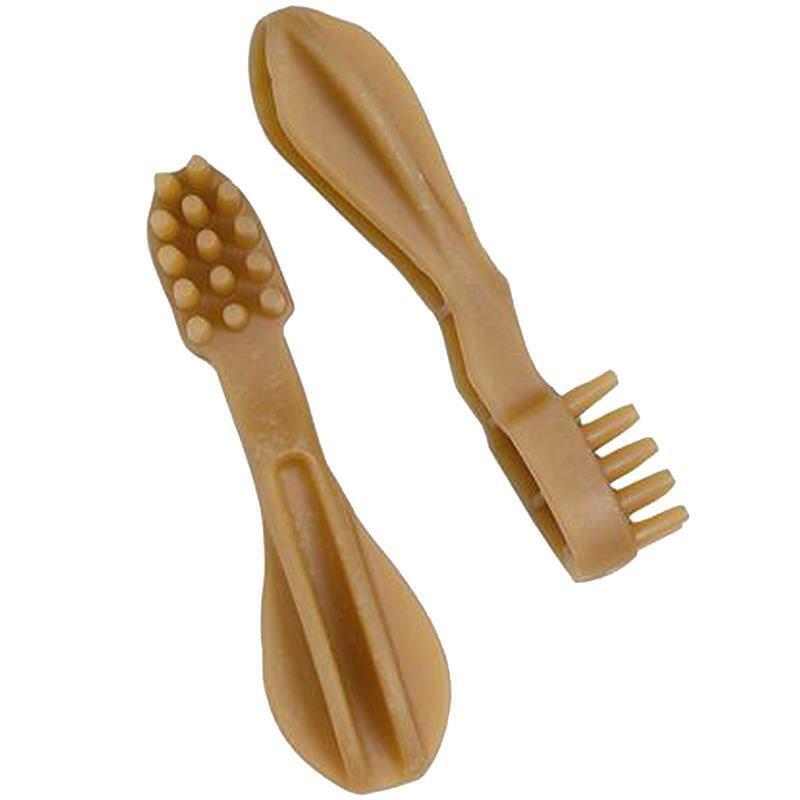 Antos Cerea Toothbrush Dog Treat. 100% Natural, vegetable based dog snack and entirely edible. They are healthy and tasty and ideal for cleaning teeth. Composition: 1.5% raw protein, 3.2% raw fat/oil, 8.3% fibre, 0.6% raw ash & 7.0% moisture. Ingredients: wheat starch, glycerine, vegetable fibres, leicithin, natural colourings & flavourings.